What the hell is this???!!! 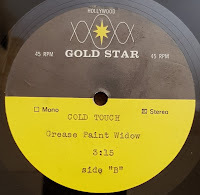 Out of nowhere (well LA actually), comes this totally insane unreleased acetate. 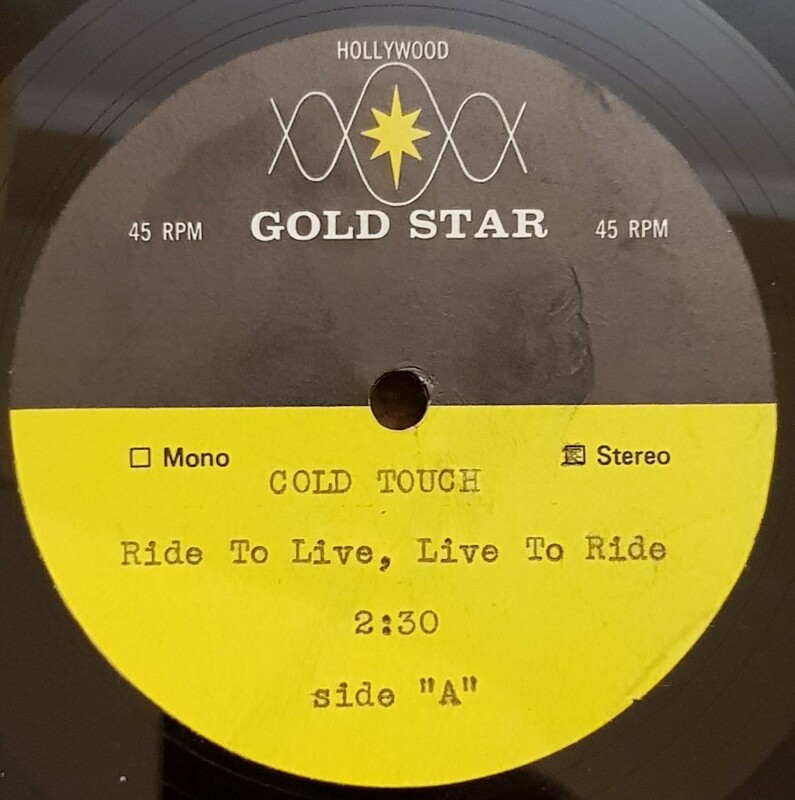 The band Cold Touch just hit the nail over Bonehead with this Spazz hybrid concoction of Biker, Punk and Hard Rock which reaches untold levels of perplexing Madness. The vocals are incredible. The singer warbles, in a familiar manner –hang on is it Roger Chapman? No...Jesse Hector –No…in fact, it sounds like bloody Jello Biafra! However it is more than unlikely it's him, however could it be his uncle or something? I have been told it is likely to be early 70s, however I have a feeling it might have been recorded during the LA Punk days. Who knows... Lyrically both tunes live up to their titles, really stupid but all so fun. Based on this the B side is the winner here, with no need to make any excuses. 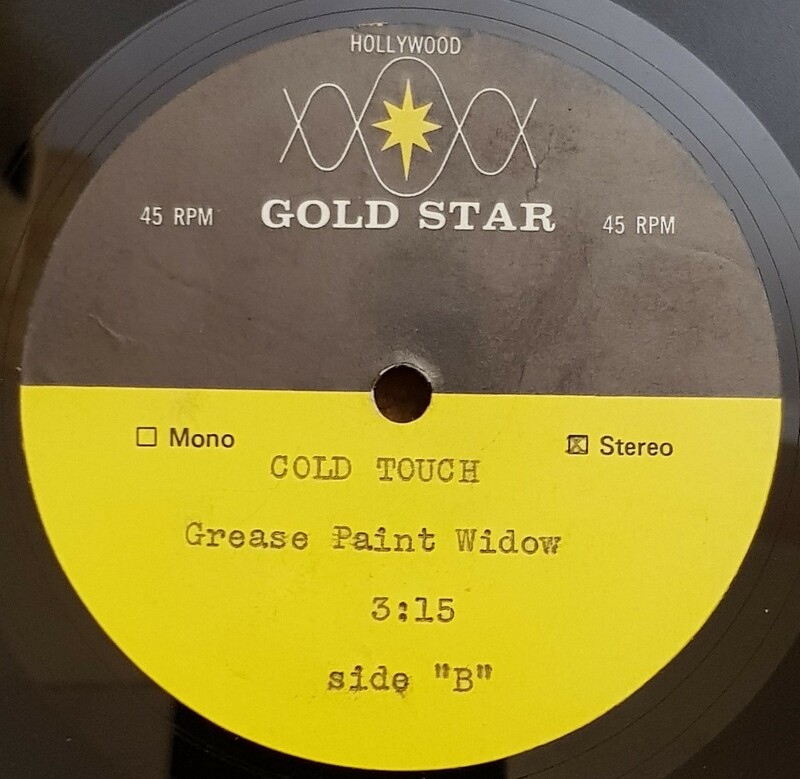 Grease Paint Widow is the hunter and you’ll also be the prey when you groove to this.